Today’s post comes from my friend, Sylvie of The Hollywood Homestead. I’m so excited to share a little bit about her story, her yummy recipe, and her amazing ebook, The Gelatin Secret. Seriously, if glowing skin, beautiful hair, and a healthy body is something you crave, be sure to check the book out! Take it away, Sylvie! Ok, I confess. I’m probably a tiny bit obsessed with gelatin. Not that yucky stuff with food dyes and who knows what else from our childhood… the real stuff! You see, my husband and I lost over 65 pounds each when we switched to a real food diet a few years ago and our family of 5 improved more health conditions than I can count in the process. 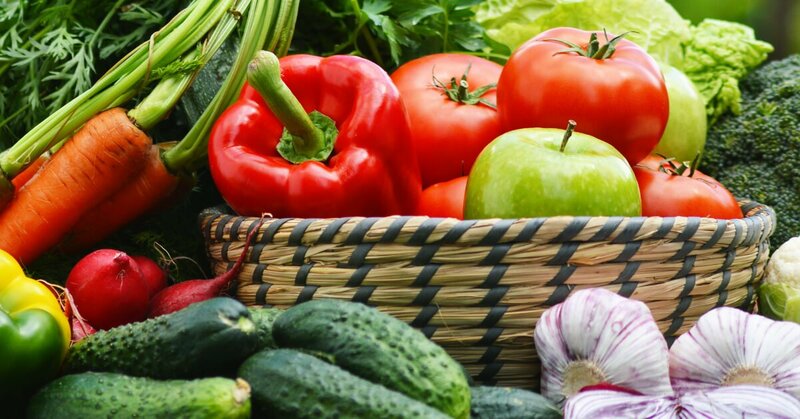 But it wasn’t until we started focusing on nutrient density and including nourishing super-foods like organ meats and plenty of bone broth into our diet that our health improvements skyrocketed. I started my intense gelatin research a few years ago when my oldest daughter needed spinal surgery for her severe scoliosis. While studying optimal nutrition for bone health and surgery recovery, it was clear that if there was one food you wanted to consume as often as possible, it was gelatin. This research is what led me to write The Gelatin Secret, because I knew this resource could help every family in countless ways and I just couldn’t keep this secret to myself! Luckily, adding gelatin to your diet and your kids diet is not only easy; it’s delicious! This blueberry jello recipe is from my ebook, The Gelatin Secret, which goes into detail about how gelatin nourishes each part of our body and includes many recipes, both savory and sweet so you can jumpstart your journey to health right away. Pssstt… Robin here again. Sylvie has graciously offered my readers 30% off The Gelatin Secret when you use the coupon THANKYOURBODY between now and May 31st. So hurry and grab your copy and then try this yummy Jello Recipes. This real food blueberry jello recipe is full of flavor and NOT sugar - win win! Pour water and blueberries into a large pot and bring to a boil. Use an immersion blender to mash the blueberries and water. Strain the mixture and put back in the pot. Add syrup and lemon juice. Add 3 Tbsp gelatin and mix well with the immersion blender. Pour into a pan or jello mold. 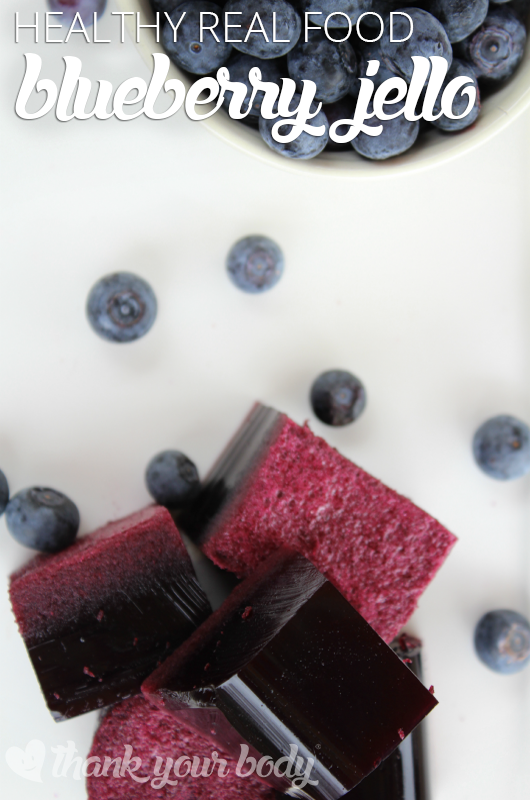 Are you ready to reap the benefits of gelatin with this yummy blueberry jello recipe? About Sylvie: Sylvie is a mother of 3 unschooled kids, a former celebrity personal assistant who recently moved to Abu Dhabi where her husband, Eric, is teaching. She and Eric each lost over 65 lbs with paleo and continue to improve their family’s health with food and lifestyle tweaks. 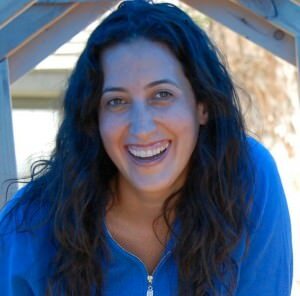 Sylvie is the author of Paleo Made Easy: Getting your Family Started with the Optimal Healthy Lifestyle and The Gelatin Secret: The Surprising Superfood that Transforms your Health and Beauty . She shares recipes and health tips at www.hollywoodhomestead.com.